Deliver the most unique gelato café experience where one can truly be immersed in our love while exceeding client expectations through our products, and exceptional customer service. Established in 2013, Love Gelato Café brings a new spark to City of Markham with our authentic Italian gelato and award winning Nespresso café products. 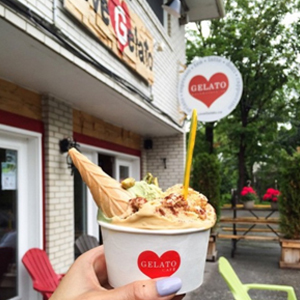 As our name suggests, we Love Gelato! With over 25 years of experience, the love we put into our product is what separates us from the competition. All you have to do is indulge in one of our delicious flavours, and you will be hooked! Thankfully, as gelato is made from milk instead of cream, it makes it a healthier and more delightful alternative to ice-cream. So don’t feel too guilty! But our love does not stop there. Love Gelato Café also features espresso, lattes and cappuccinos that will fill your senses with heart- warming aromas, helping you stay on your toes through the action packed days. 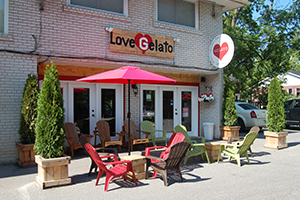 Finally, here at Love Gelato Café our mission is to provide you with products of exceptional quality in a unique setting, along with genuine customer service, something which we believe is the key component of running a successful business. Gelato is an age-old delicacy that dates back thousands of years. 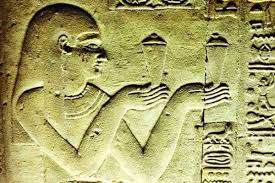 The earliest beginnings of frozen desserts are recorded in 3000 B.C. 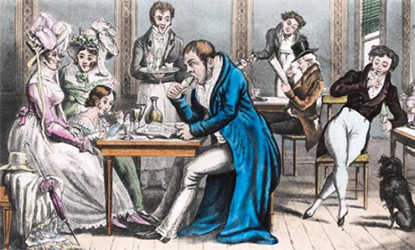 when Asian cultures discovered they could consume crushed ice and flavourings. Five hundred years later, it became a custom for Egyptian pharaohs to offer their guests a cup of ice sweetened with fruit juices. Italians joined in as the Romans began the ritual of eating the ice of the volcanoes Etna and Vesuvius, and covering it with honey. It was during the Italian Renaissance when the great tradition of Italian gelato began. The famed Medici family in Florence sponsored a contest, searching for the greatest frozen dessert. A man named Ruggeri, a chicken farmer and cook in his spare time, took part in the competition. Ruggeri’s tasty frozen dessert of sweet fruit juice and ice (similar to today’s sorbet) won the coveted award, which immediately put Ruggeri in the spotlight. The news of Ruggeri’s talent travelled quickly and Caterina de Medici took Ruggeri with her to France. Caterina was convinced that only he could rival the fine desserts of French chefs – and had to make his specialty at her wedding to the future King of France. In the late 1500s, the Medici family commissioned famous artist and architect Bernardo Buontalenti to prepare a beautiful feast for the visiting King of Spain. Using his culinary skills to present an elaborate and visually pleasing display, Buontalenti presented the King of Spain with a creamy frozen dessert that we now call gelato. Buontalenti is considered the inventor of gelato. 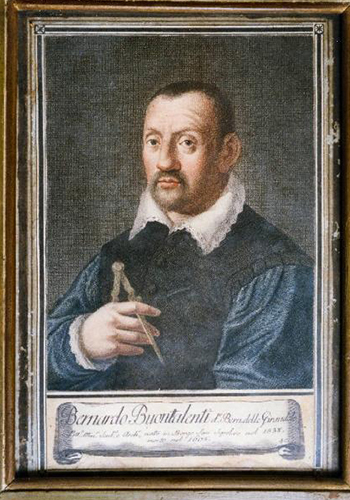 But it was Francesco Procopio dei Coltelli, a famous restaurateur, who made gelato famous all over Europe. Procopio moved from Palermo to Paris and opened a café that soon became the hub for every novelty, from exotic coffee, to chocolate, to a refined gelato served in small glasses that resembled eggcups. 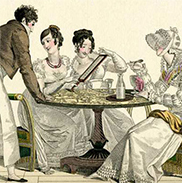 The Procope, as the café was known, soon became hugely successful and gelato spread throughout France and into other parts of Europe. 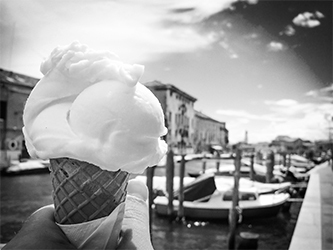 Gelato made its way to the Americas for the first time in 1770, when Giovanni Basiolo brought it to New York City. At this point, there were two types of gelato – one made by mixing water with fruits such as lemon and strawberries (also known as Sorbetto), and another made by mixing milk with cinnamon, pistachio, coffee or chocolate. 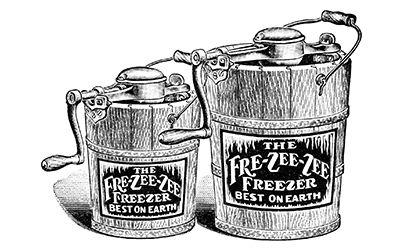 By 1846, the hand-crank freezer was refined and changed the way Americans made this frozen dessert. The freezer kept the liquid mixture constantly in motion and kept it cool throughout, making a product that was no longer granular, but creamy. This is where the history of industrial ice cream began, as the product contained more air and was less dense. 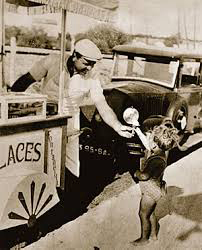 The history of gelato is closely tied to two regions: Dolomite in the far north of Italy, and Sicily in the far south. In Dolomite gelato was made with milk, cream, sugar, eggs, and natural flavours. Snow was stored in the cantina (basement) during the winter. When the summer brought tourists into the mountains of Dolomite the sale of gelato was one of the major sources of income for the region’s people. Gelato was considered to be a rich man’s dessert, and few people could afford it. Reduced tourism in Dolomite brought a great seasonal migration of Dolomite artisans to Austria, Germany, Switzerland, and France to sell gelato in the rich communities there. This tradition made Italians dominant in the business of milk-based gelato both in the northern parts of Italy and in neighbouring countries. In the far south, the gelato was predominantly water based. Lower in fat and slightly higher in sugar content; it was called sorbetto or “sorbet” in English. Southern gelato producers used techniques similar to those of the Dolomite region, especially in Sicily where underground storage areas, some as deep as 30 meters (more than 90 feet) were used to store compacted snow. Like their northern counterparts, local Sicilian artisans would travel to the neighbouring countries to sell their wonderful dessert to rich clients. Today’s modern production methods retain the best of tradition – flavour and freshness – while making gelato available to all. There isn’t a tourist in Italy who has not enjoyed the magnificent wonder known as gelato coppa-grande. Gelato in Italian literally means “frozen,” but it is commonly used to indicate the Italian type of ice cream. Gelato contains much less air than typical American ice cream and is therefore more intense in flavour. Gelato is also healthier than American-style ice cream, as it contains all natural ingredients, fewer calories, and less butterfat. Our gelato is made locally so that we can bring you the highest quality product.